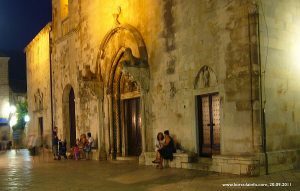 St Mark’s Square (Trg Svetog Marka) is the main square Korcula Old Town, popular with locals and visitors alike. 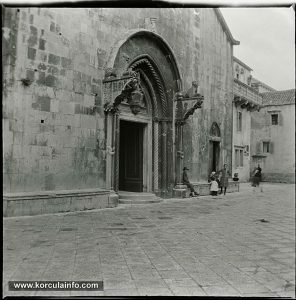 Several important buildings are located on the Square – St Mark’s Cathedral, Gabrielis palace, Bishop’s Palace, Arneri Palace, Caenazzo Palace (see all Korcula palaces).. 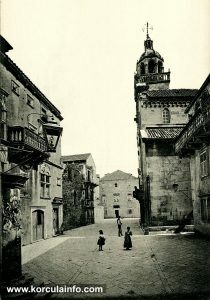 This popular square is locally called Piazza (Pjaca). 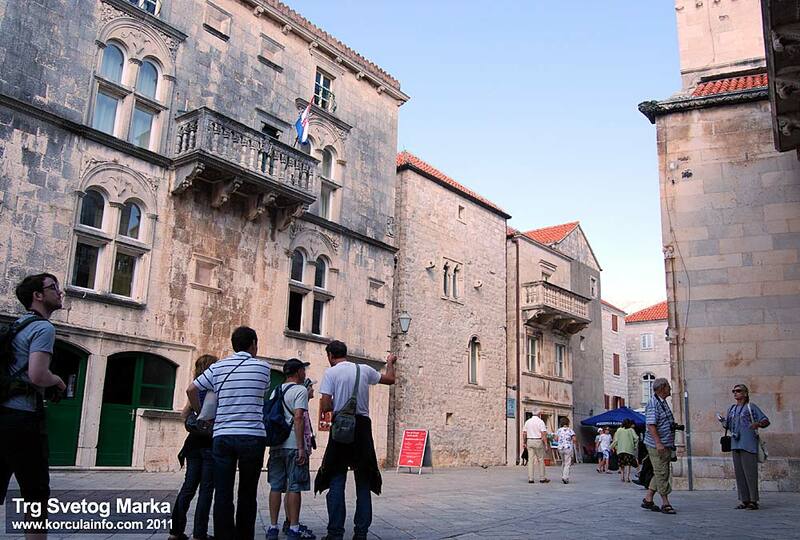 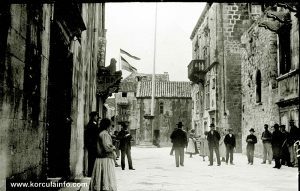 The square also features two of Korcula Museums: Town Museum and Bishop’s Treasury as well as popular Column. 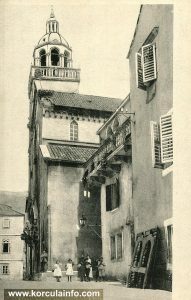 Just off the square is the Ismaelli Palace.